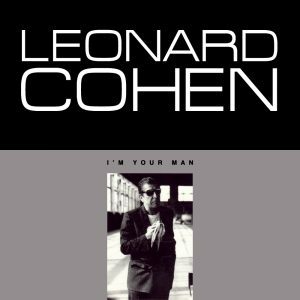 I’m Your Man—now reaching its 30th anniversary—caught everyone off guard. For a decade, Leonard Cohen had been in something of a slump. His recording session with Phil Spector for 1977′s Death of a Ladies Man was fraught with tension and instability, and the album it produced ended up being widely considered his worst. And in 1984, his album Various Positions was declined for release in the U.S. by Columbia Records, his label so disinterested in its moody ballads that it was left to CBS Canada to export the record to American shops—if they wanted it. This, of course, happened 10 years before Jeff Buckley gave the overlooked album a second life by covering its deep cut, “Hallelujah,” a song that now couldn’t be left alone even if I were to ask politely.